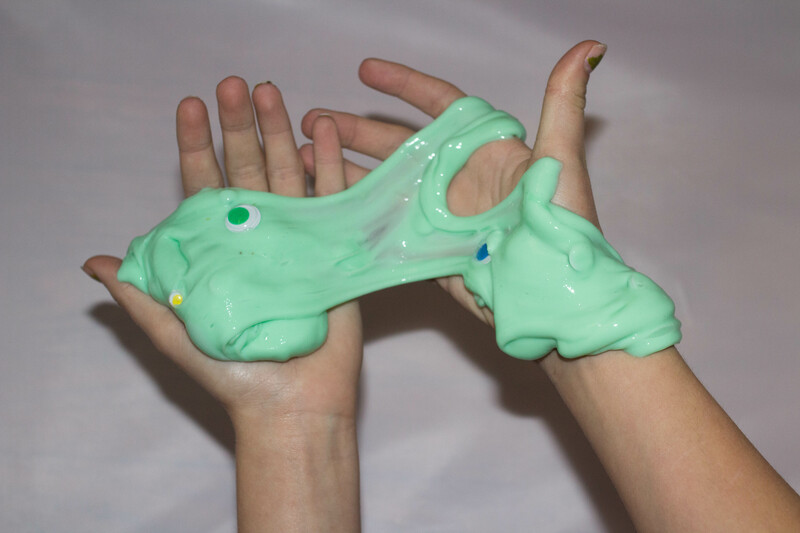 One of the biggest crazes right now is making slime. Kids are obsessed. The problem is some people make their slime with borax, which is not good for kids to be playing with. The girls and I love making slime and make a new batch at least ones a week. 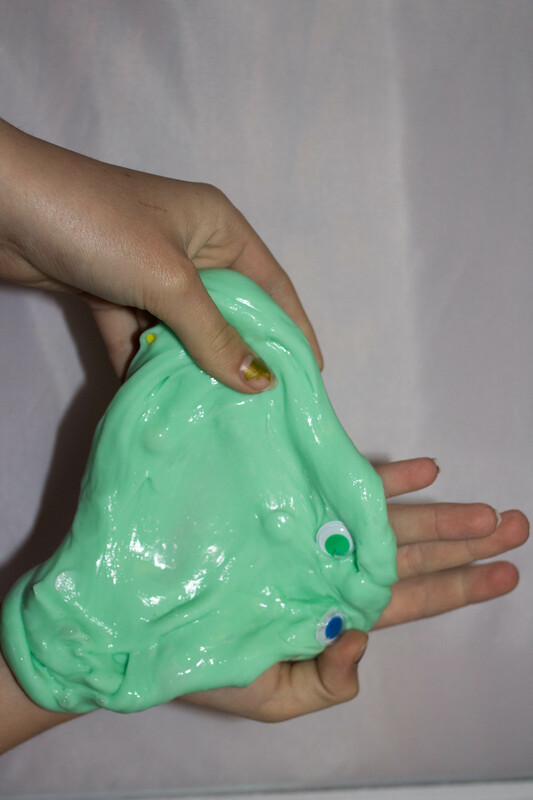 This borax free slime recipe we named Monster Slime. That is because we added silly eyes to it like a monster with multiple eyes watching you. When Owen, my grandson, saw it, he went nuts. So out came the supplies so we could make him some Monster Slime too. RELATED: Want Crunchy slime? Check out our Bubble Wrap Crunchy Slime. Monster Slime only needs 3 things in order to make it. Our slime recipe calls for glue and starch, and if you want it to have the eyes, that makes up the 3rd part of the recipe. This slime doesn’t contain borax because we do not want the kids getting sick. I also mention food color. Without the food color, your slime will be white, which looks very cool too. So now the Monster Slime Recipe. 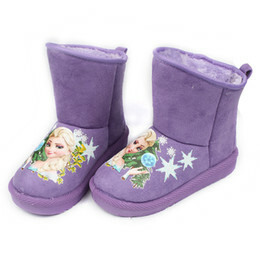 Pro tip: I buy just about everything online. I hate trying to find supplies at the store and not being able to find it. We also purchase out glue in huge containers because we make a lot of slime. 1 slime recipe uses about 1 bottle of the small glues and that will add up quickly. In a bowl add in your glue and your starch. Start mixing with a spoon. If you are adding food color, this is where you want to add some in. To make this mint green color we used 3 drops of green. Once the glue and starch start to come together, start mixing with your hands. It can take a little while to come together. Just keep mixing and kneading. Once your slime has come together, add in googly eyes. You can add in as many or as little as you like. Store your slime in a baggy or small container with a lid.